Regular and TecToy versions have similar cover art. The Limited Edition Box Set has a large picture of Donald Duck on the box proper with a list of contents. 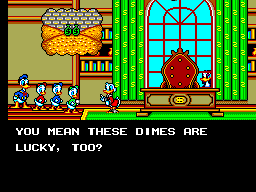 Evil Magica De Spell has stolen the Lucky Dimes and has capture Huey, Dewey, and Louie! 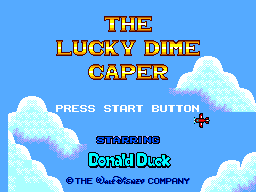 Trek through six treacherous lands with Donald to save his nephews and retrieve the Lucky Dimes! 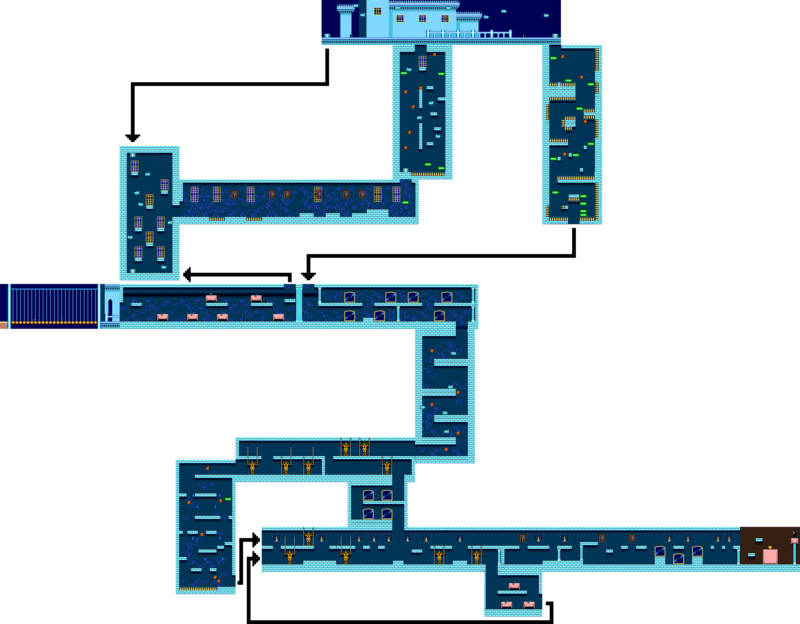 Map of Magica's Castle (by Maxim) in .PNG format. 111kb in size. Review by Computers & Video Games magazine. The game was awarded 90%. 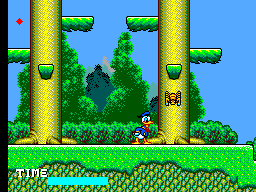 Image of the Prototype cartridge entitled "Daffy Duck".